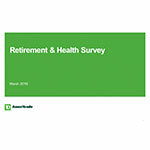 OMAHA, Neb.--(BUSINESS WIRE)--When asked to name barriers to financial independence and early retirement, Americans are less concerned about uncertain market conditions (37 percent) or inflation (35 percent), than they are about healthcare costs (57 percent), according to a new survey conducted for TD Ameritrade, of 1,500 Americans aged 45 and older with $250,000 or more in investable assets. Americans cite healthcare expenses as No. 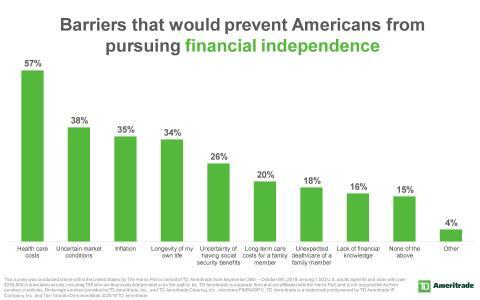 1 barrier to early retirement, according to a new TD Ameritrade survey.